please not :- it does not accurately measure or measure anything at all, it just indicates the RF level. When there is voice peaks, it flickers in sympathy with the voice. Put it on the final linear amp.at the output. Ckt is self explained. 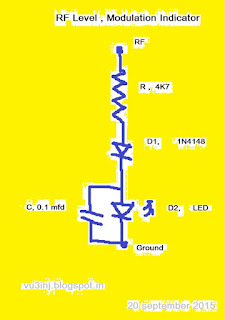 Change the R according to the power level of the amp. 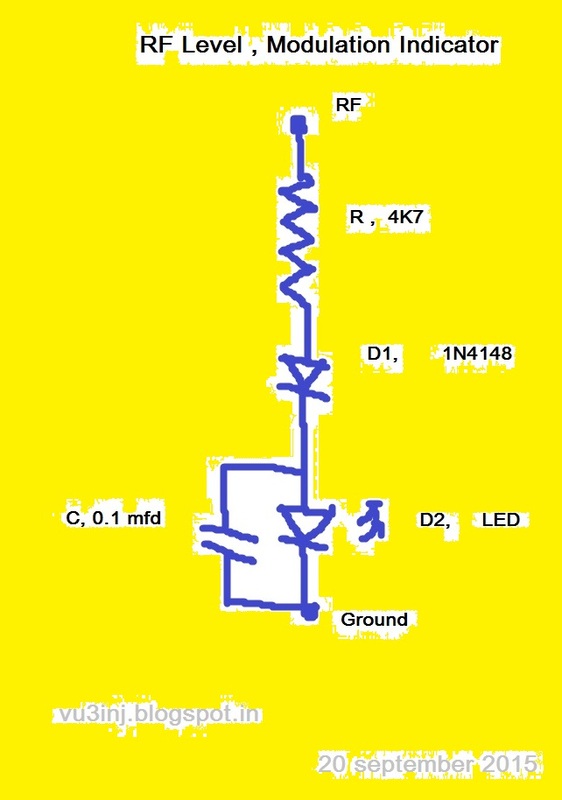 Please don't use the preset or variable resistor, that might break disturb the Rf network.. he he..
For R try quarter watt carbon resistor, 10k to 4k7.... enjoy the flicker. Functionally similar was used in VWN- Tx but that was in DC current path.